Smart Silicone™ chemistry: Silicone hydrogel taken to the next level. This is MyDay®: Next-level silicone hydrogel lenses. 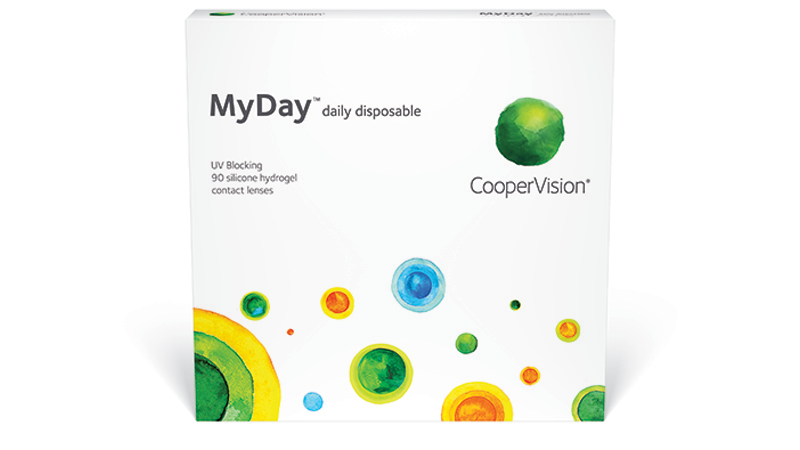 CooperVision® MyDay lenses feature Smart Silicone™, a revolutionary breakthrough in lens chemistry that brings together everything your patients need for an exceptional overall 1-day experience: uncompromised all-day comfort, plus the healthier2 advantages of silicone hydrogel. Smart Silicone optimizes oxygen permeability in a lens that’s just 4.4% silicon—the lowest percentage of silicon found in a silicone hydrogel 1-day lens. By using less silicone, Smart Silicone leaves more room in the lens for comfort-enhancing moisture and enables a low modulus. In addition, Smart Silicone provides optimal softness while maintaining exceptional handling. Smart indeed. The Benefits of Silicone Hydrogel Daily Disposable Lenses here. 1. Manufacturer stated oxygen transmissibility values (Dk/t): MyDay daily disposable (100), dariti® 1 day (86), 1-2. DAY ACUVUE® MOIST (25.5), SofLens® daily disposable (24). The revolutionary, hydrophilic, long-chain molecule at the heart of a superpermeable silicone hydrogel material.